This pen was kindly sent to me by Goulet Pens! 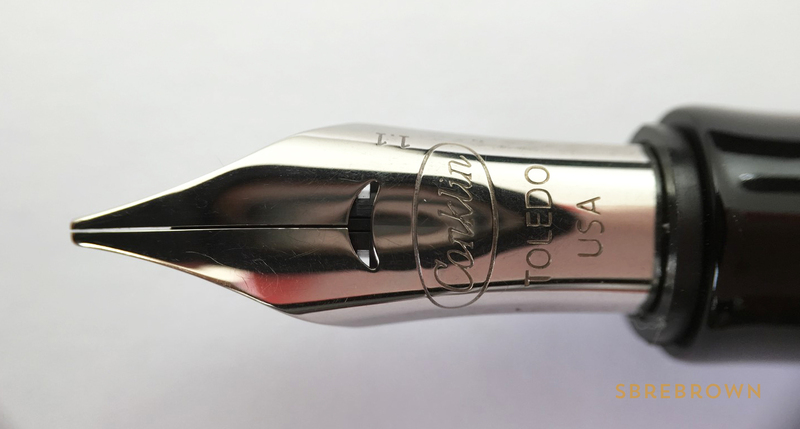 This entry was posted in Fountain Pens, Reviews and tagged Cartridge-Converter, Conklin, Empire, flex nib, fountain pen, Omniflex, Stardust, Steel Nib on March 27, 2019 by sbrebrown. 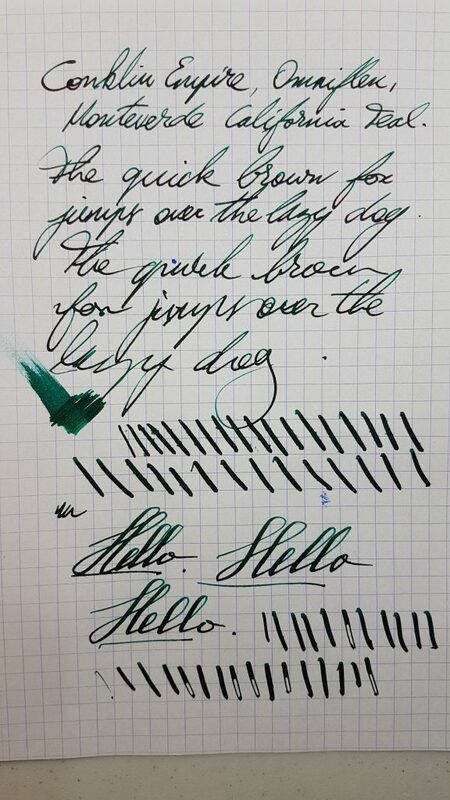 This pen was supplied by Scrittura Elegante – thank you! 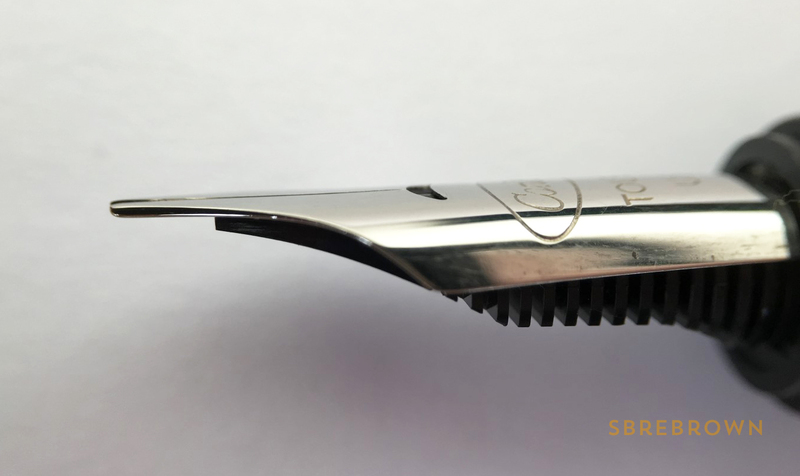 This entry was posted in Fountain Pens, Reviews and tagged Cartridge, Cartridge-Converter, Conklin, Converter, scrittura elegante, Steel Nib on December 28, 2016 by sbrebrown. 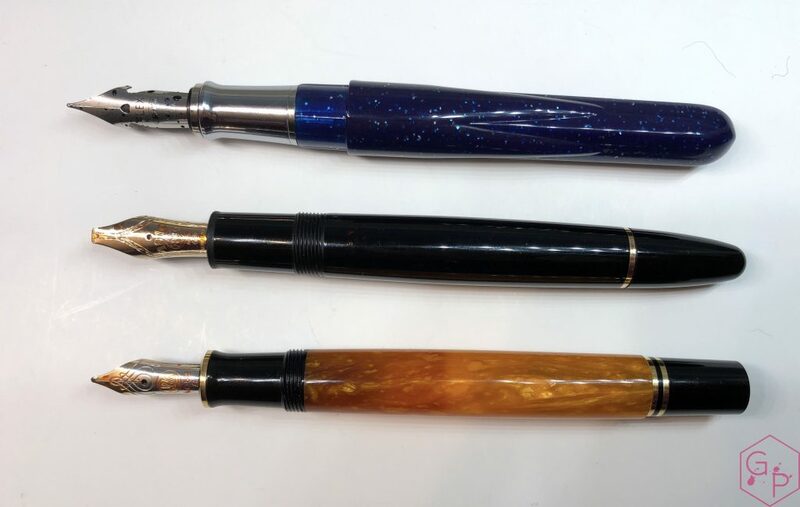 In this Shootout, let’s have a look at two affordable stub nibs, on the Conklin Duragraph and the Monteverde Intima. 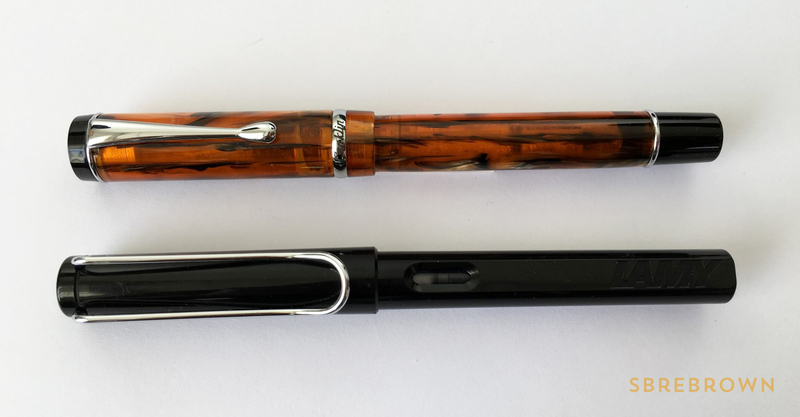 Both pens were donated by the Goulet Pen Co, but of course all opinions expressed are my own. 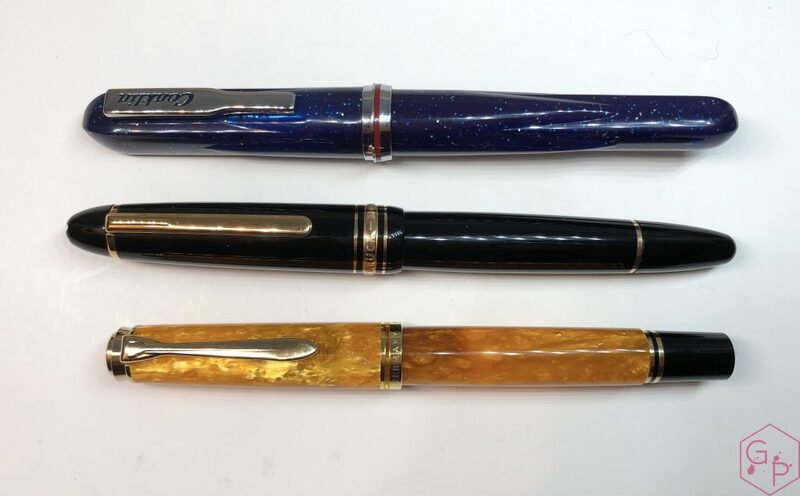 This entry was posted in Fountain Pen Shootout, Fountain Pens, Reviews and tagged Conklin, conklin duragraph, fountain pen shootout, Goulet Pens, Monteverde, monteverde intima, stub on October 31, 2016 by sbrebrown. This pen was sent for review by Goulet Pens! 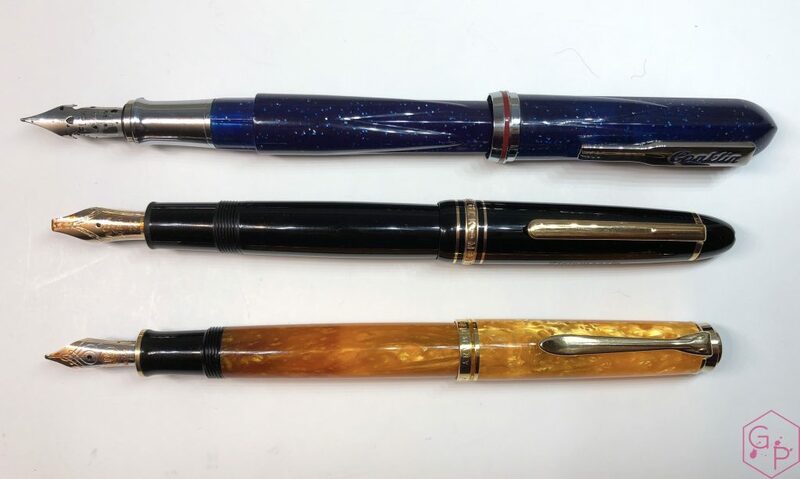 This entry was posted in Fountain Pens, Humour, Information, Reviews, Serious Nibbage and tagged Cartridge, Cartridge-Converter, Conklin, Converter, Fountain Pens, Goulet Pens, GourmetPens on September 3, 2016 by Azizah Asgarali. 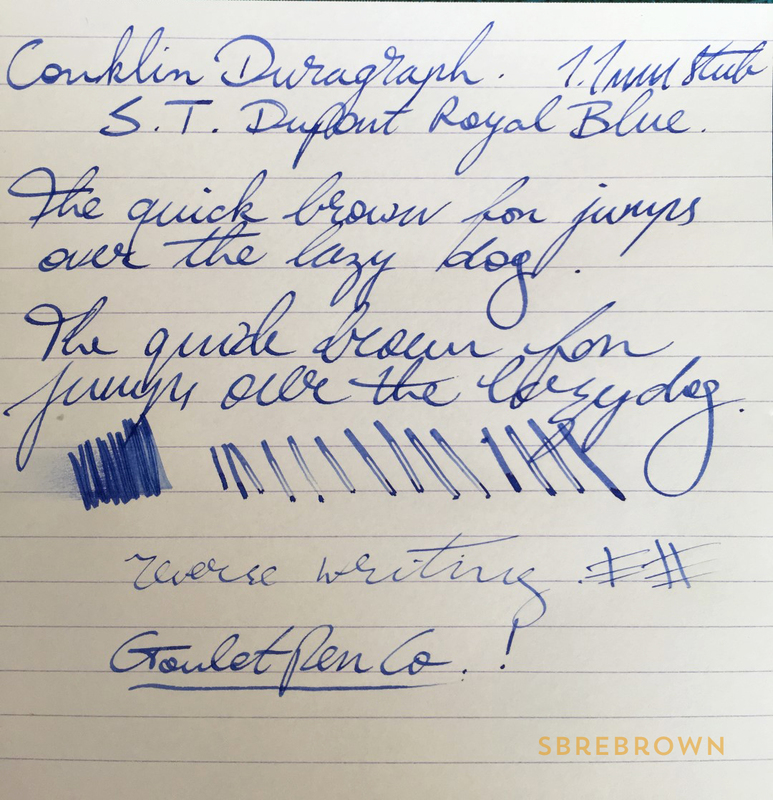 Thank you to the Goulet Pen Company for sending this Conklin Duragraph (Amber, 1.1 mm stub) for review. This pen was sent to me for review. All opinions are my own. This entry was posted in Fountain Pens, Reviews and tagged Conklin, Goulet Pen Company on December 16, 2015 by Azizah Asgarali.